There’s a lot of essential stuff when going out (nobody can’t deny it). And that’s why those bulky fat wallets are still alive on Earth. They help us hold up everything needed for the go. But in turns, they’re too bulky. Sometimes we found them such a nuisance. For examples, when going to pay, under pressure of a long queuing, hauling out a huge brick and repacking it within a few seconds is impossible. Or, when running or going in a crowed place, these big guys can easily hook the eyes of potential thieves. It’s time to invest on a minimalist wallet to save you such moments. Like easily put it in a small dedicated pocket, take it out, slide out your bank card and pay, only within 10 seconds. Or, slide it in a small pocket, and keep prying eyes at bay. These tiny items can’t be as spacious as the bifold, trifold or something like that, sure, but it can keep your vital things streamlined and manage its slim silhouette all the time. 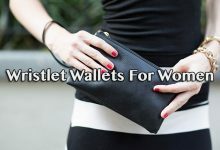 I know that it’s truly tough finding the best minimalist wallets that fit your life and style. So here, this collection will give you chances to pick the right one. 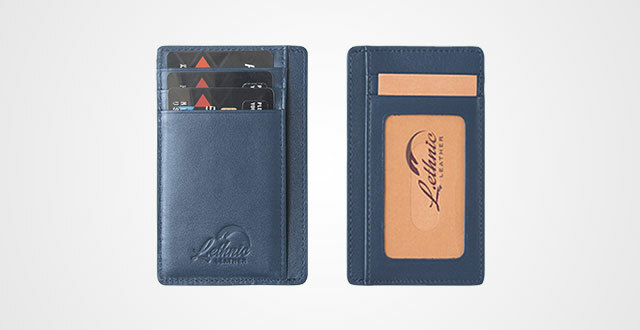 Start off with a brand-new minimalist wallet from Lethnic! Compared to its previous version, this one comes in some advances. Higher quality material, nicely zigzag embossing and supremely cool camouflage pattern. Besides, I like its clean look coming out from this new version to perfectly utilize in either formal or informal occasions. For those who want to know more about its material, this design is made out of 100% precious Italian genuine cowhide leather – more durable, better protection. 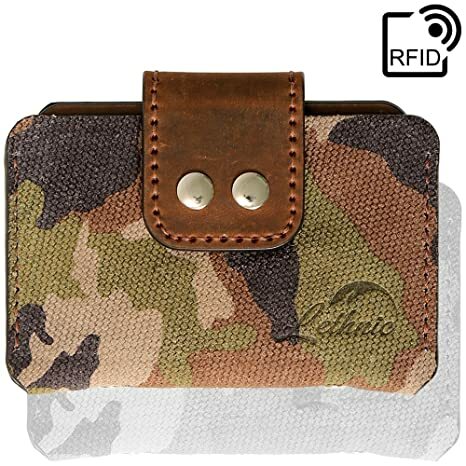 There’s more, advanced RFID Shield to keep those shifty high-tech thieves at bay, an enclosed elegant packaging that’s perfect to use as a present box and lastly, 30-day money-back warranty to cover any faults derived from manufacturing process. But, on top of that, the biggest benefit you will receive is its perfect compromise of slim profile and moderate capacity. Measured by 4.4” x 3” to fit snugly any kinds of cards and folded bills. Besides, 3 customized compartments to streamline your stuff neatly for ease access. As a matter of the fact, this little buster can fit up conveniently 10 cards and 15 bills – enough for on-the-go packing. I think this design is not only ideal to become the next best item in your close, but also a meaningful present for the others. Surely, they will love it! I know that a lot of men nowadays prefer to carry their wallet in front pocket so, the slimmer, less bulky the better. 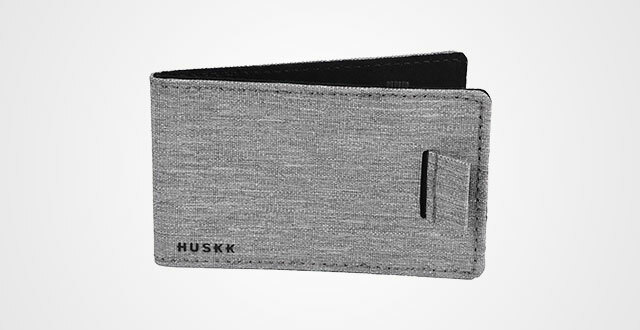 This product from HUSKK is actually a card holder as it throws all extra cash pockets or money clip. But, a couple of bills is no problem, you can fold them up and insert to the elastic band. 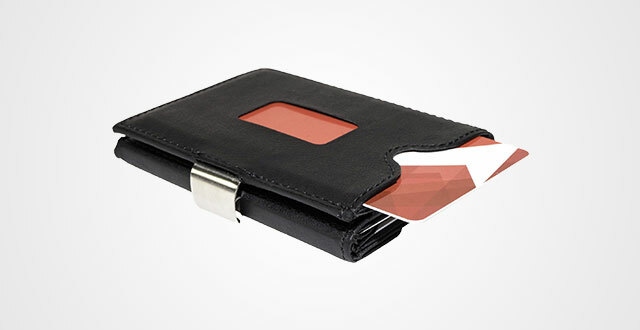 This cardholder can fit up maximumly 10-12 cards without bulk. Plus, it’s pretty lightweight and compact. Just measured by 7.5 x 4.7 x 1 inches. 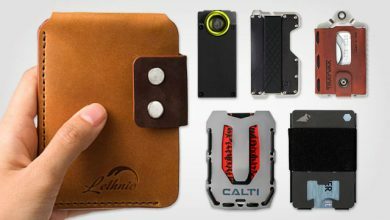 Besides, it also has a smart pull tab for quick access your daily cards and a handy keychain hole so that you can connect it with your keys without any burden. If you’re curious about its material, this HUSKK is made out of lightweight synthetic leather and durable, soft microfiber. Such these kinds of material help the wallet hold up quite well, not saying that it’s able to be water resistant and strikingly thin. Other good things are the RFID Blocking Technology, various color options and its lifetime warranty. Honestly, HUSKK is a worth brand to try. This wallet right away catch my attention by its new and distinctive outlook. I love that when they take advantage of the well-known curve of baseball as a functional detail to help you quick access your regular cards. Unlike almost other models which are just a decorative feature. I also appreciate its elimination of excess seams and stitching to decrease its flat silhouette to the extreme. 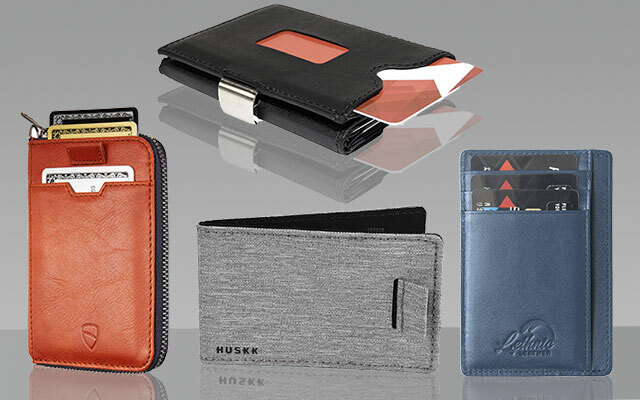 Come in only three compartments, however, this wallet can store 10+ cards and a couple of folded bills without bulk. Though made out of high-quality cowhide leather with smooth texture, it isn’t soft or flimsy at all. This model keeps its form pretty well, very sturdy and high protection. Besides, the attached D-shaped ring takes a huge roll of giving various ways to carry it alongside. Aside from the traditional way which is in your back pocket or front pocket, you can attach it to your belt, bag and backpack. Or, more creatively, hook it to a lanyard and use it as your employee identification card cover. You either don’t need to worry the security aspect as there’s an RFID Blocking Shield embedded between the material layers to protect completely your inner stuff. So much storage in such a small space! This handpicked full grain distressed leather wallet from Bryker Hyde is a refresh way to bring up all your daily essentials in a slim and compact silhouette. Your pockets will be thankful for that! It highlights the advanced RFID Blocking Technology which can protect your personal information against both low and high frequencies. Detailly, it blocks all 125 KHz, and from 10 MHz to 3000 MHz signals. Just pretty sure that your bank cards, ID cards and other RFID stuff stay safe from unauthorized scans. It’s the best choice as a travel wallet, especially when you are going to the European where there are a lot of hi-tech thieves. While others stress, you don’t. 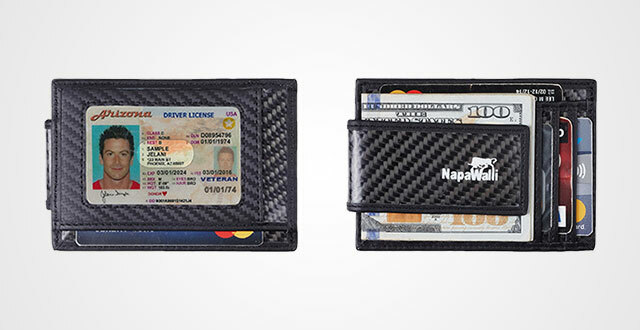 This wallet is also backed by a lifetime warranty from its manufacturer. You can feel free to give it a try! If you need a truly slim wallet to carry just your vital cards (and a couple of cash if you’re bring it), then look no further for this Raw Threads Wallet. No metal. No animal skins. 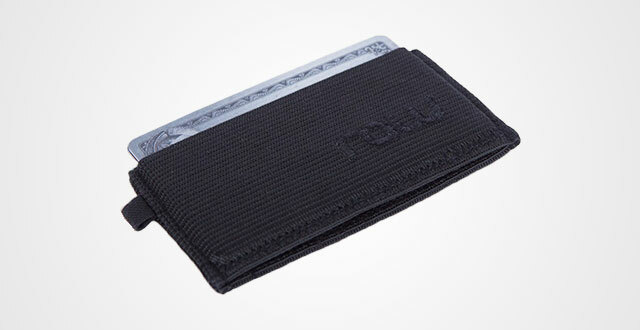 The wallet is totally made from elastic fabric, but it’s very high-quality. Its hand-feel experience is different from other poor elastic material, I mean truly, it’s a higher level. The texture is thick, durable, greatly flexible and staying in shape very well. It doesn’t come up with any snap button, flap or zipper, but just two open compartments for storage. Now here, you might wonder if it would fall out, right? And my answer is no. Thanks to its superb elasticity and flexibility, the wallet holds your stuff in place perfectly without loosening or falling out. Another convenience is its small keychain which you can connect it with your keys or clip it on your belt. It’s lightweight, only 0.32 ounces and strikingly compact (3.5 x 0.2 x 2 inches) to carry without burden. Can’t live without paper money? Then just give this Ebax a try! This bifold wallet not only keeps your cash straight, but also 2-3x thinner than leather wallets to stay in your front pocket conveniently and neatly. 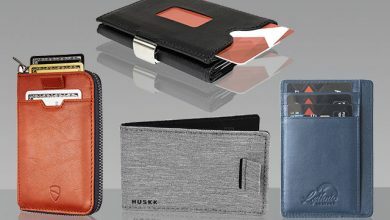 Like the HUSKK Wallet, it is made out of high-quality synthetic and microfiber material to offer eco-friendly, strikingly slim, lightweight and waterproof. Measured by 4*2.8*.02 Inch, your pocket will love it. In spite of such slimness, the wallet still delivers good organization with one ID window, 2 card slots and 1 full-length compartment. Here, you can put up 5-8 cards with lots of bills/receipts/cash due to preference. Besides, it is able to block RFID signals, as well. The wallet has been tested for 13.56 MHz Frequency to protect all your bank cards and ID cards safely. 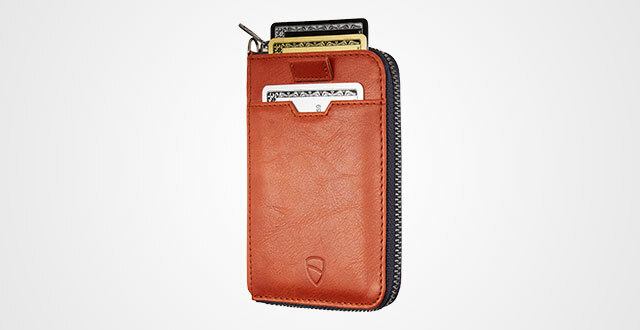 On top of that, this mens minimalist wallet is backed by lifetime warranty. The very first rigid minimalist wallet in this collection. Though I have seen a lot of wallets with similar construction that include 2 squared polycarbonate pieces connected with each other by a silicone band, this one hooks my eyes for its stylish, modern and fashionable look. There are six color options, each of which delivers different style, vibe and characteristics to surely meet different taste. Honestly, its colorway is my style! 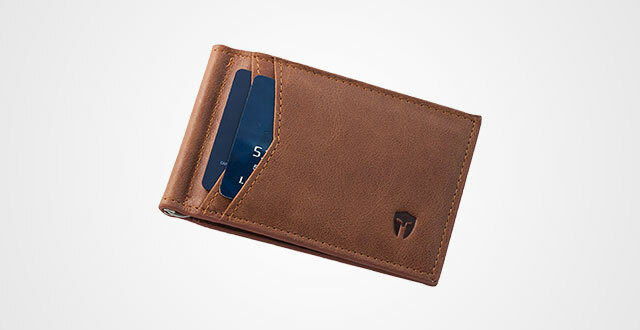 The wallet can accommodate up to 10 cards without tightness and some cash on the backside. A compliment for its strikingly flexible band, it holds up from less to more stuff quite well without getting loosen. It’s built to last for no doubt. Besides, this is a genius material choice as it helps the wallet not only sturdier, but also slimmer and more lightweight. Measured by 3.5 x 2 x 0.5 inches, you can put it in any pocket without notice. Grab it and ready to hear compliment from your friends! 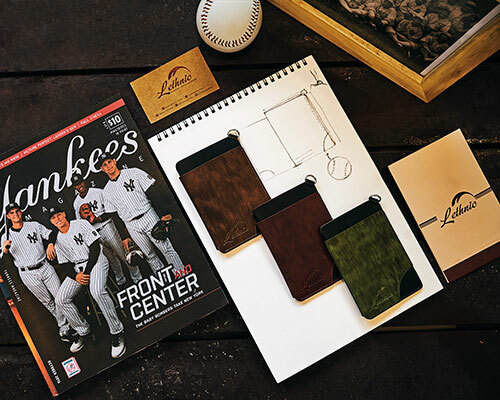 When it comes to choosing the best minimalist wallets, people usually tend to avoid leather ones as this kind of material is easy to cause bulk. However, might it be an exception on this Luxe Wallet. Made out of 100% pure genuine leather, the real fun is that it’s measured only about 4.7 x 3.7 x 0.4 inches. 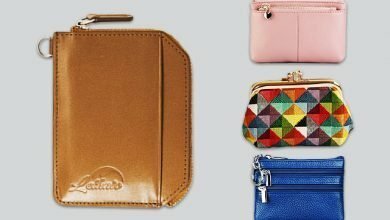 There is no huge difference between this eye-catching wallet with other materials. Moreover, it gives better longevity and durability. Nothing can defeat high-quality genuine leather. Besides, it does make vibe – look very vintage, classic and one of a kind. On top of that, it’s enclosed with a nice gift box so that if you are seeking a perfect present for someone special, look no further than this Luxe. It’s a great compromise of style and functionality to make sure that the receiver will love it unconditionally. There are 6 card slots and 1 middle compartment for cash. Plus, RFID Blocking Material will prevent your credit cards, debit cards and ID cards from disclosure. Importantly, it’s backed by one-year warranty. In fact, the customer service of Luxe is quite good. It’s worth trying! Actually, I’ve paid attention to this slim wallet of Lethnic for a while, since they only released 4 color options. And up to now, there are 15, the latest of which are truly catchy and unique. But what I love this wallet the most is its slim silhouette. Though made of 100% genuine cowhide leather and also added a layer of RFID Blocking Technology and an inner lining, it’s strikingly slim. Yes, roughly 4.33 x 2.95 x 0.15 inches and very lightweight as well. Despite such compact design, the wallet still delivers a well-organized space. It includes 1 ID window, 4-5 card slots, and 1 cash pocket in the middle. It manages your daily stuff quite streamlined whereas stays slim in your pocket without notice or bulk. Besides, they also enclose an elegant gift box to be a perfect present for someone. 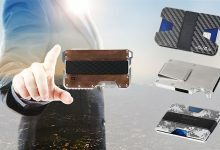 The reason why I add this NapaWalli to my collection of the best minimalist wallets is its leverage of 4 rare Earth magnets into the money clip, which means it will be twice more powerful than others (which only use 2). Thus, its ability to hold cash/bills is as good as a traditional compartment. In terms of durability, not only from its magnetic strap, but also the full grain carbon fiber leather does the thing. And if taking a closer look, you will easily find that its stitching is very detailed and tight. 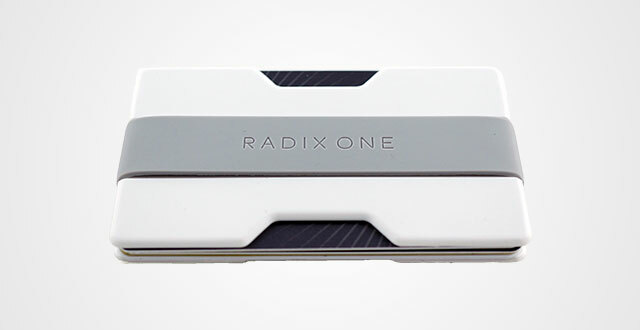 Each card slot is measured exactly to fit standard-sized cards. 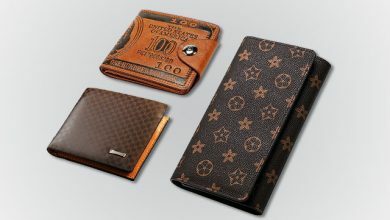 There are 3 card slots, 1 ID window and 2 larger compartments where you can put up some folded bills. Stylish, functional and now, it’s also protective thanks to the RFID Shield. This extra material can secure your personal information against unauthorized scans. Just feel free to try it as unluckily, if you find it is suitable for your style and life, just return it to the manufacturer as they provide up to 1-year warranty. Who can say no to this catchy indescribable zippered minimalist wallet? Made out of top-grain genuine precious Italian leather with incredible beauty and luxe. Utilize high-quality metal finishes, well-stitched, good lining and durable zipper. The most important thing is its superb slim silhouette and compact design. Measured by 4.20″ H x 3.10″ W x 0.60″ D, it fits neatly in the palm of your hand, or in any pocket without burden. What I truly appreciate in this wallet is the zippered compartment as I need something more closure and protective for my keys and coins. 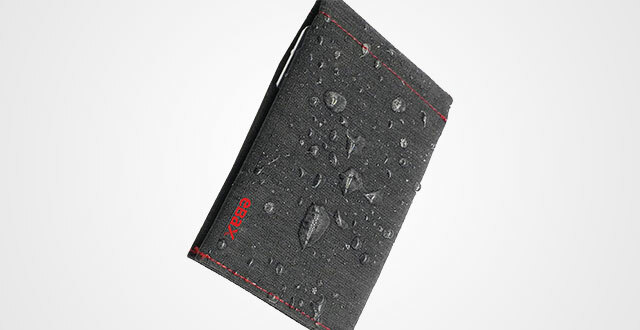 Despite its slimness, there’s full of life in the inside of this wallet. Apart from three outer functional compartments, it has two more pockets inside and a band. 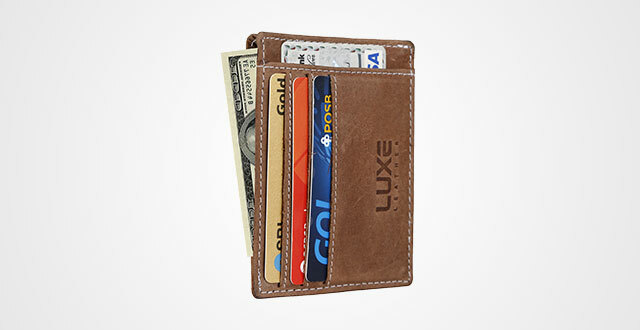 The wallet can fit up a lot of cards, bills, coins and keys neatly. Another convenience is its pull tab for quick access your regular cards. Plus, the small keychain in the side for easily hooking this wallet to your keys or somewhere else when in need. Based on its compact and lightweight design, it causes nearly no bulk or heaviness. Besides, just feel ease in mind as there is a layer of RFID Shield. Usually, when talking about trifold wallets, we always think of a fat brick in our back pocket, storing wads of bills and messy cards. Even with some old trifold design, it’s even out of fashion. But now, that nightmare is over. 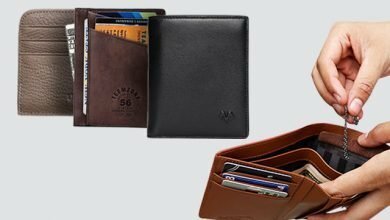 At least with this TriHOLD Napa Leather Wallet, you will have two in the silhouette of one – a trifold wallet and a minimalist wallet. This means the product will feature a strikingly thin and slim design yet still offer the same storage as a traditional trifold. It’s not a joke! Look at its dimensions: 2.68 x 3.62 inches. It’s slim for sure, see? Either can it stay neatly in your back pocket or a comfortable and thin front pocket wallet. And the space, it can fit up 6-12 cards and a couple of straight bills. Though a small detail, I truly appreciate its slash design in each slot to help us access our cards more quickly. Even it has a stainless-steel clasp to keep the wallet closure. 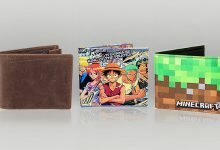 Surely, this is one of the best trifold wallets I’ve ever tried. 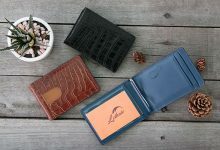 The wallet world is very diverse so that apart from these 10 best minimalist wallets, there are still many other good choices for you on the market. Though it’s not easy to find out the right one, these 10 items are my recommendations for you. Hope that after considering, you can pick at least one of them to be next item in your wardrobe.